Is a home safe worth having installed? If you are contemplating whether or not it is worth having a home safe installed. Then our experts would like to bring you some compelling arguments for the idea. A home safe is a place to keep your high valuables. Things which are not easily replaceable. Some heirlooms and highly valuable items passed down the generations even reach the point of being originals and irreplaceable. These highly special items are worth the extra protection as their value only grows as the years go by. Important documentation which may prove your identity or which is strenuous and takes plenty of time to replace is also worth keeping in places as such. Another great and compelling reason which make a home safe a well worth investment for many people is original pictures. Take advice from your emergency locksmiths. Old photos are worth storing in a safe as well. 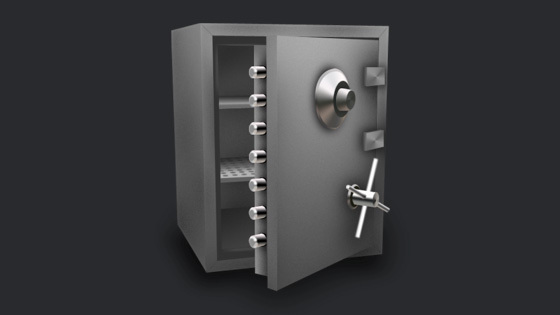 There are a range of different varieties of home safes to choose from. Temperature and humidity regulating safes which are fire and flood proof keep fragile items such as old photographs safe from harm. And who knows, maybe one day these things, handed down to you. You may find you are passing down to the next generation and your children. A home safe is a one time installation which can be made affordable. Highly secure for those special items which you treasure more than money. Original, irreplaceables. Speak to our home security technicians about what home safe would be worth it for you to have installed. You may be surprised at the relatively low cost of many available high security varieties. The industry market has moved fast forward the last half a decade and affordable home safes are now available to you as a private home owner. There are also safe varieties that integrate well with your home security and smart alarm systems. Bringing up one of the more common questions that we get here. Especially lately as home security has been a hot topic. The relatively high risk backdoor at times is made from glass. The benefits of this are many. The amount of light it lets through, the wonderful view it bestows you of your garden. Not to mention the practical application of having a door and window all rolled into one. As mentioned, there are some security pitfalls with glass doors as their inherent security capabilities are low. The standard hook or latch design which comes with glass conservatory doors is weak in comparison with the security of a regular mortise lock, and if possible it’s good to add additional security features to bring your standards up. Bring your glass door security questions up with our professionals at any hour by giving us a ring now. One of our quick and easy suggestions for improved glass door and back door security is to simply add a CCTV security feature. Here you’ll have the deterring factor, the strongest kind at your side. And with a small addition like this, either to be integrated with your current alarm system or to be added new. You can even go for a mock CCTV variety of live cameras is something outside of your interest area. 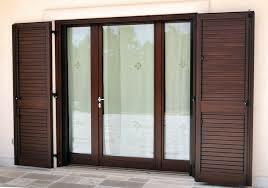 Back door and glass door security is an important point to address if you’ve not done it yet. A secure survey is one way to make sure that you’ve got all the security you need to keep your back door and your garden security to the standard needed. Book one in easily by call us at your closest convenience. A detailed survey will be performed, swiftly and at a time that suits you. And you’ll be brought up to date in a way that suits your preference and your budget. ← What is a cylinder lock?